Features: The finest quality professional grade pure sable prized for its strength, long life, and ability to hold its shape . 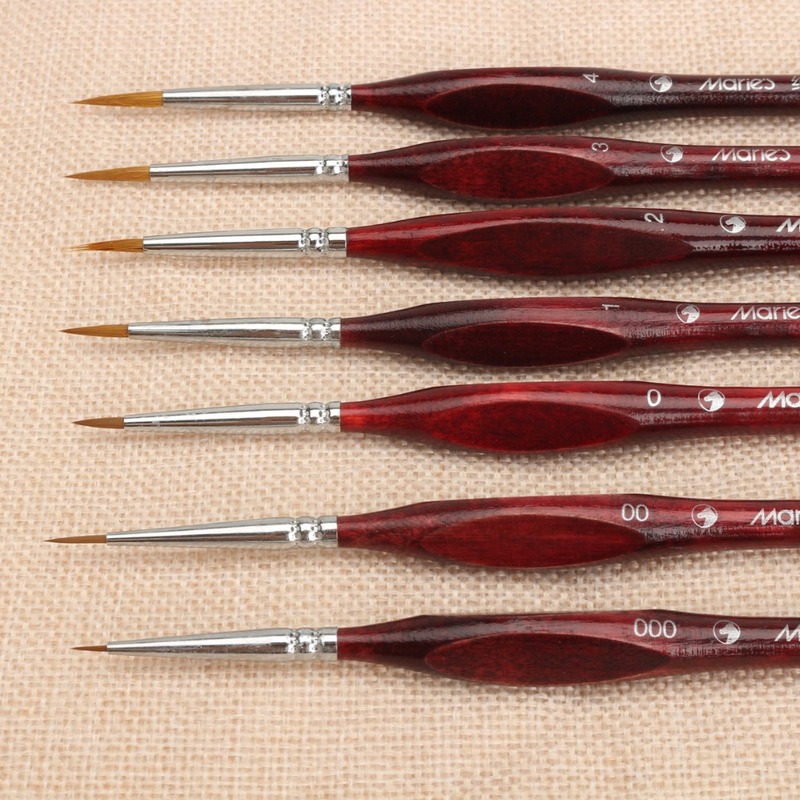 Value set contains 7 detail brushes size 000,000,00,0,1,2,3,4 for every detailing need . 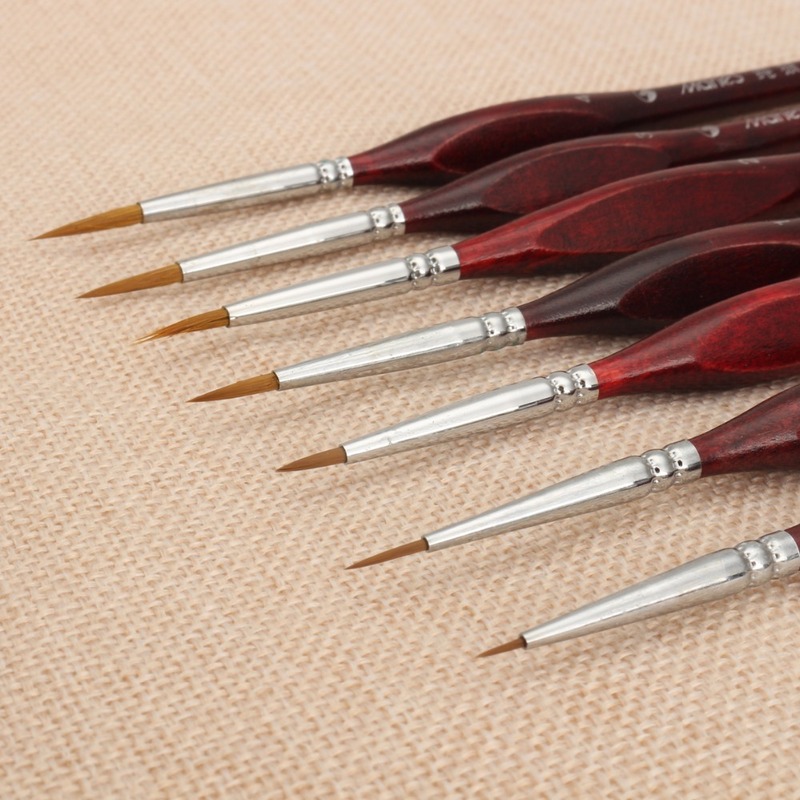 Our brushes have a generous paint-holding capacity and will maintain a super fine point . 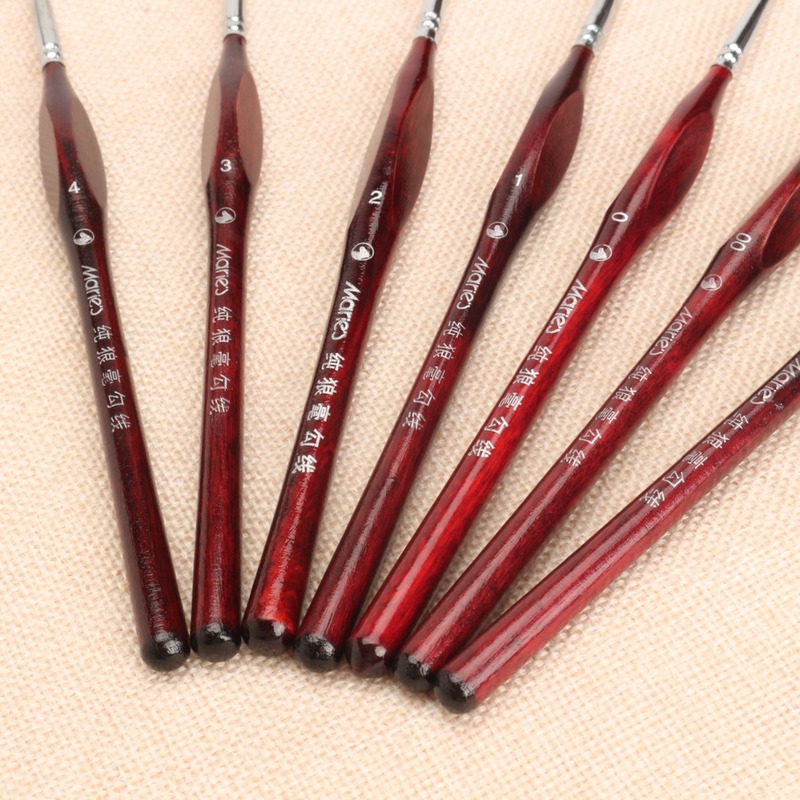 Each brush has a seamless nickel ferrel that will not rust or crack, holding the strong sable hair firmly in place without splitting or shedding . 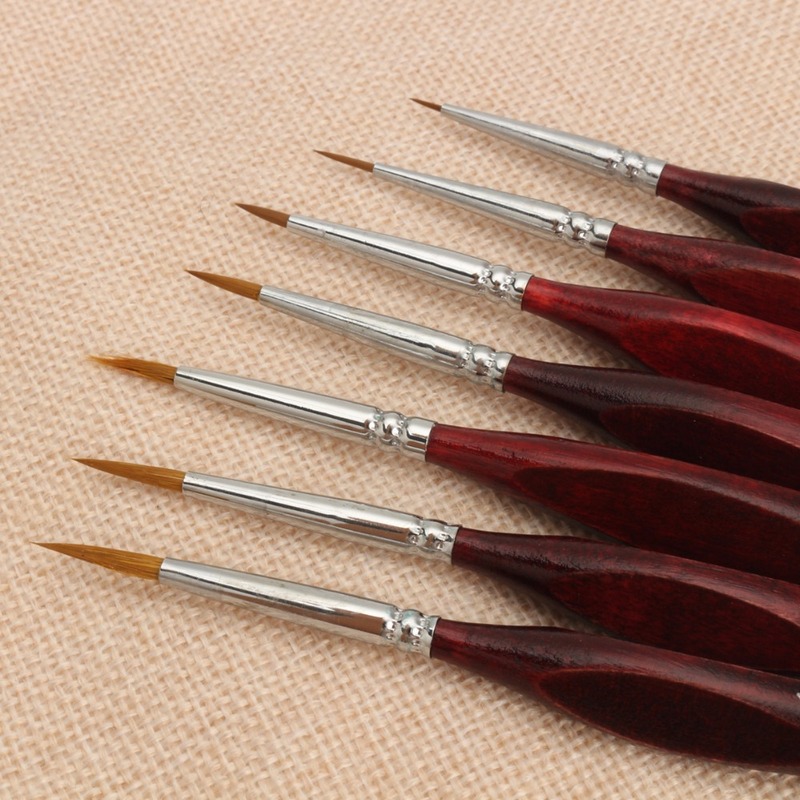 Our brushes have short triangular handles that rest comfortably in your hand, aiding in muscular dexterity for painting with ease and control . 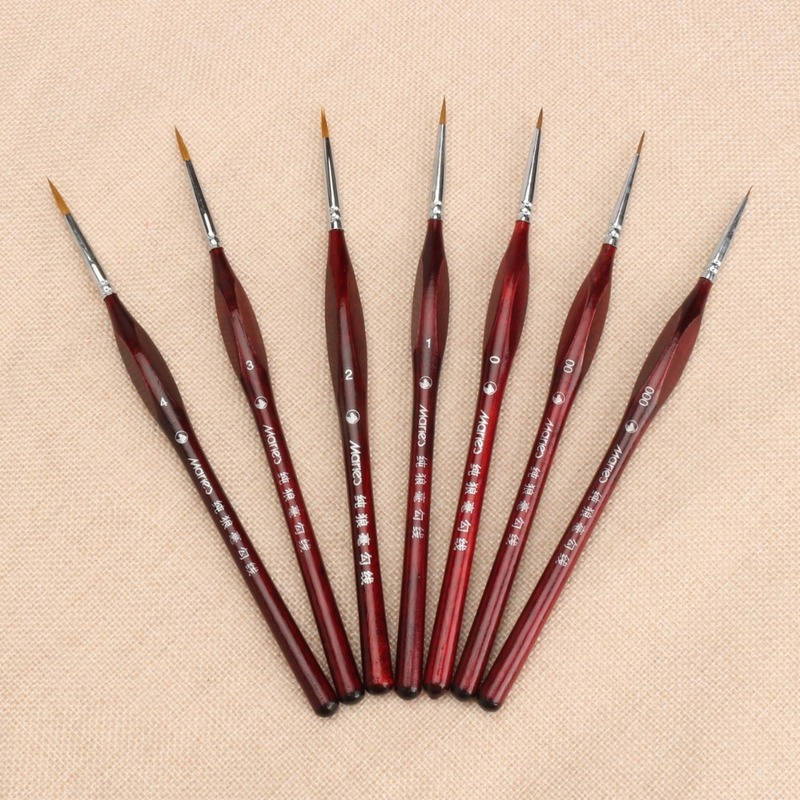 Package description: Color:1 Set Sable Hair Detail Paint Brushes Our Sable paintbrushes are known as the Best Watercolor Paintbrushes, but are equally superb for Acrylic, Ink, and Oil Painting. 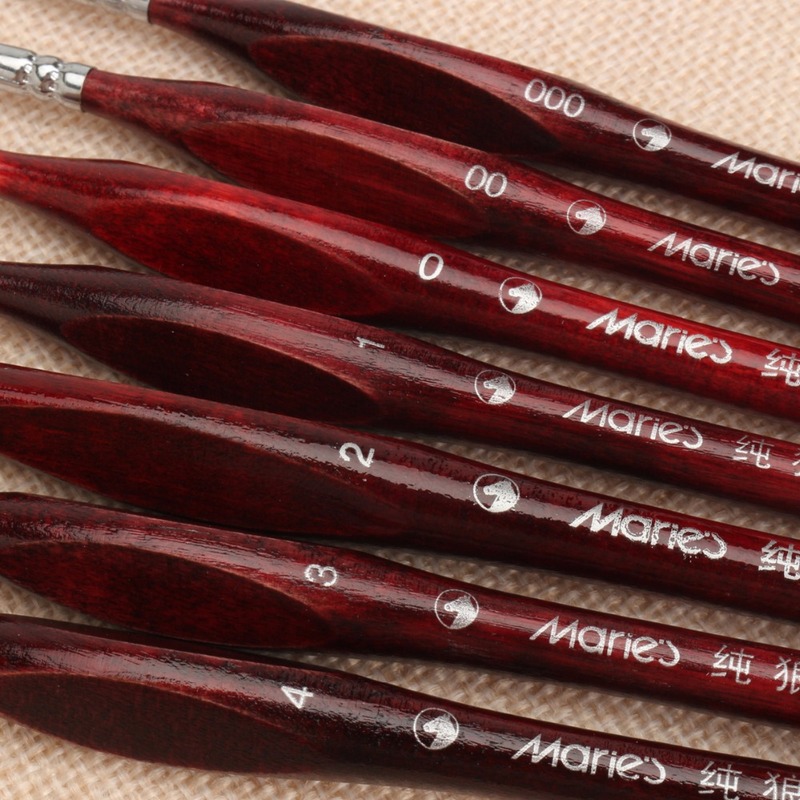 Use this fine detail set for all of your Models, Nail Art, and any type of Detail Art Painting. Handle Material: Wood and Sable Hair. Hair Material: Sable Hair. 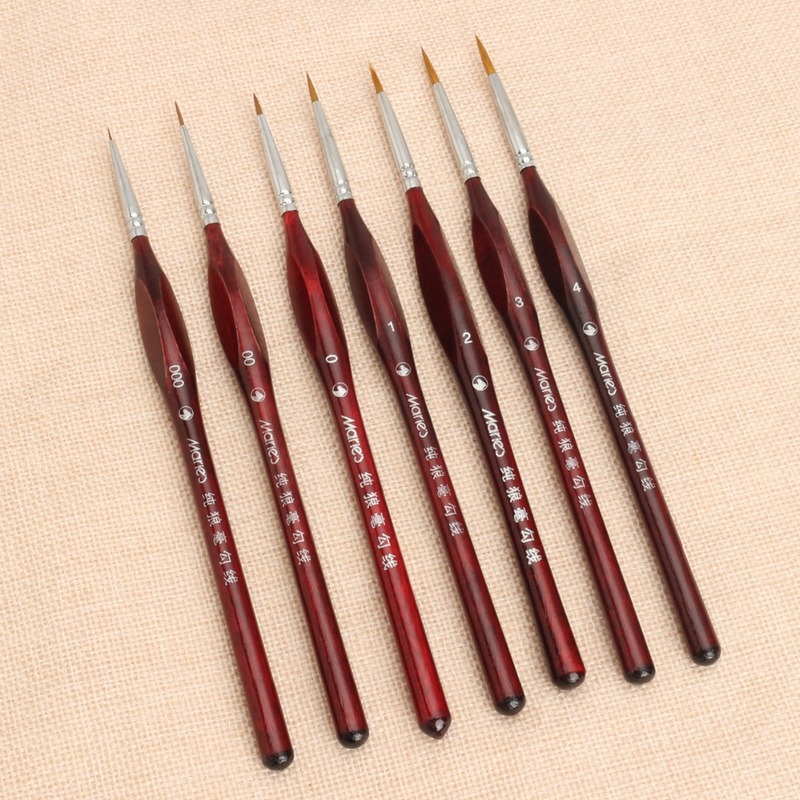 Brush Size:000,00,0,1,2,3,4. 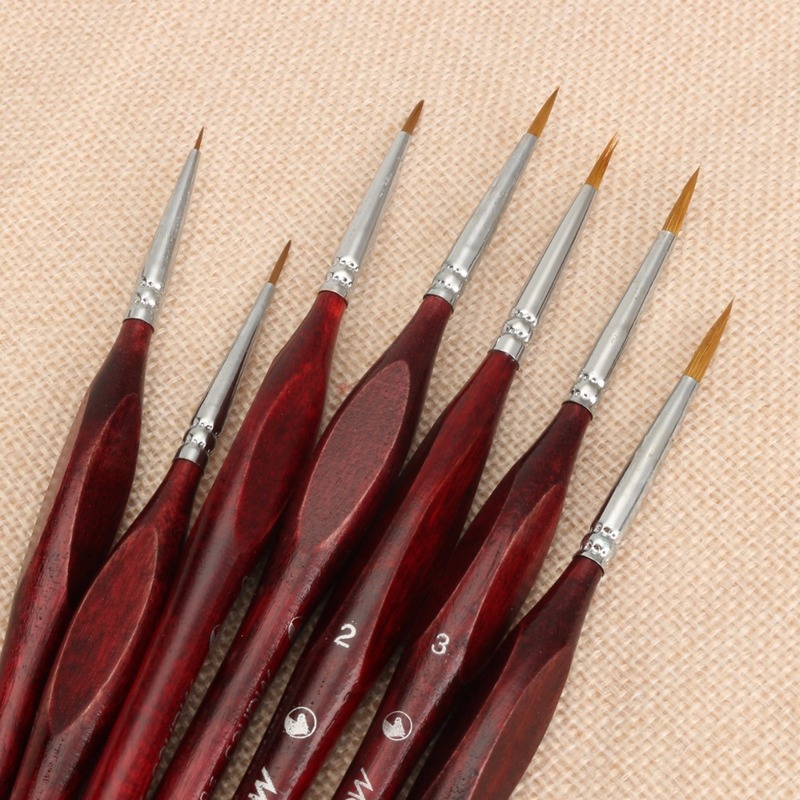 Package include: 7 pcs of sable hair detail paint brushes.